What do Christians believe? What gives meaning to our life? What is the purpose of life? The Christian answer to these questions is found in the Creed, in the profession of faith. But what do the articles of this confession actually mean? And how to they affect our lives? Joseph Ratzinger, now Pope Benedict XVI, takes a fresh look at these timeless questions. This work is a reflection of the profound, personal insights of Benedict XVI, but also of the great foundations of Christianity: faith, hope, and charity. Ratzinger writes eloquently and persuasively about the importance for followers of Christ to understand well what they believe so one can live as a serious Christian in today’s secular world. He talks in depth about the true meaning of faith, hope, and love—the love of God and the love of neighbor. He also discusses the crucial importance of a lived faith, for the believer himself as well as being a witness for our age, and striving to bring faith in line with the present age that has veered off into rampant secularism and materialism. "In our generation the Christian Faith finds itself in a much deeper crisis than at any other time in the past. In this situation it is no solution to shut our eyes in fear in the face of pressing problems, or to simply pass over them. If faith is to survive this age, then it must be lived, and above all, lived in this age. And this is possible only if a manifestation of faith is shown to have value for our present day, by growing to knowledge and fulfillment." Unbelievers, doubters and skeptics continue to attack the truths of Christianity. Handbook of Catholic Apologetics is the only book that categorizes and summarizes all the major arguments in support of the main Christian beliefs. Also included is a Protestant-friendly treatment of Catholic-Protestant issues. The Catholic answers to Protestant questions show how Catholicism is the fullness of the Christian faith. Handbook of Catholic Apologetics is full of the wisdom and wit, clarity and insight of philosophers Peter Kreeft and Ronald Tacelli. This is an informative and valuable guidebook for anyone looking for answers to questions of faith and reason. Whether you are asking the questions yourself or want to respond to others who are, here is the resource you have been waiting for. Peter J. Kreeft, Ph.D., is professor of philosophy at Boston College where he has taught since 1965. A popular lecturer, he has also taught at many other colleges, seminaries and educational institutions. Kreeft has written more than fifty books, including Fundamentals of the Faith, You Can Understand the Bible, Catholic Christianity, Because God is Real, Heaven: The Heart’s Deepest Longing and Summa of the Summa. Ronald Tacelli, S.J., is associate professor of philosophy at Boston College and has published articles in the Public Affairs Quarterly and Dowside Review. The Crusades, the Spanish Inquisition, the Reformation, and the Renaissance popes conjure in the imagination a corrupt Roman Catholic clergy hungry for wealth and power. In this insightful, well researched work, the Vatican’s chief historian, Fr. Walter Brandmuller, takes a thoughtful and understanding look at these and other important chapters in Church history. Without denying, or flinching at, the human capacity for folly, failure, and evil, Brandmuller moves beyond the caricatures and legends that often substitute for real history to reveal a Church, both human and divine, fulfilling its mission in every time and place. His goal is not to whitewash any of these past events or issues, but rather to illuminate them, and bring to them a more in-depth, comprehensive historical understanding on the basis of their causes, circumstances and effects. —Pope Benedict VXI, Address to the members of the Pontifical Committee for Historical Sciences, March 7, 2008. Father Walter Brandmuller is president of the Pontifical Committee for Historical Sciences. From 1970 to 1997, he was a professor of Church history at the University of Augsburg, Germany. He is the co-author of the German book The Fall of Galileo and Other Errors: Power, Faith and Science. The Mass and the Saints is a work both of deep spirituality and profound insight into the glories of the Church's liturgy. It brings together passages from great spiritual writers throughout the ages, from all centuries in which the Mass has been offered. Every aspect and part of the Mass is covered, the quotations forming a continuous commentary on the central action of the Church's worship. 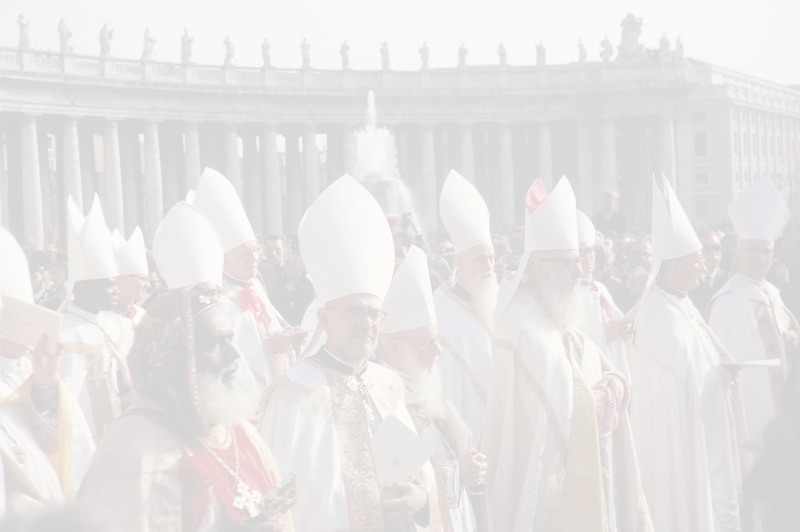 Most of the authors are canonized saints of the Church, and many are doctors of the Church. Included are Church Fathers such as St. Augustine, St. Jerome, and St. Gregory the Great; great scholars of the Middle Ages such as St. Anselm, St. Albert the Great and St. Thomas Aquinas; and more modern figures such as Prosper Gueranger and Pope John XXIII. The quotations have been selected and freshly translated by Fr. Thomas Crean. These writings will nourish understanding and appreciation of the Mass, and also aid prayer and contemplation. Fr. Thomas Crean OP, is the author of the widely praised God is No Delusion: A Refutation of Richard Dawkins. He is a Dominican friar of the Priory of St. Michael the Archangel, Cambridge. This powerful book presents documents on a span of time that begins with the war between the Communists and Chinese Nationalists in the mid 1940's and continues until 1983, shortly before the phrase of "modernization" promoted by Deng Xiaoping after the death of Mao. They cover four crucial decades in contemporary Chinese history. These documents are the memoirs of persons who have experienced in their own flesh how far the violence of a power blinded by ideology can go, a power which, after winning its battle against an armed enemy, had decided to exterminate its "enemies without gun", as Mao in a famous speech described intellectuals, believers and opponents. From the historical perspective these are contributors of great value, especially for anyone who wants to learn about the injustices and brutality of Maoism. Only in recent years have non-specialists had access to autobiographical testimonies concerning the laogi, the Chinese forced labor camps. But we have a long way to go before we know about that life in as much detail as is available concering the Soviet gulags thanks to Solzhenitsyn. The Red Book of Chinese Martyrs partially fills this gap. It is a gap that originated in precise politico-cultural circumstances which explain why a book of this sort has never until now seen the light of day. The ideological baggage encumbering historiography and journalism on the subject of China has severly limited the opportunities for learning about and publicizing these stories of Christian persecution and martyrdom. The Red Book of Chinese Martyrs intends to be also a denunciation of Maoism and of its crimes. After decades of ideological propaganda, we are finally able to see a "demythologization of Mao", who was responsible for crimes equal to or even worse than those of Stalin and Hitler (eighty million dead during the period of the "Great Leap Forward", 1958-1961). While reading The Red Book of Chinese Martyrs one cannot help noticing what a tragedy has befallen the Chinese people, in particular the believers. But all this has not destroyed thier faith. Therefore Cardinal Zen is able to write in his Preface: "The pages that you will read are not primarily pages of suffering and sorrow; they are also and above pages of joy." Gerolamo Fazzini, a professional journalist, is the co-director of the monthly magazine World and Mission of PIME (Pontifical Institute for Foreign Missions), and an editorial writer for the daily newspaper Avvenire. An expert on international topics and religion news, he coordinates the Italian Federation of the Missionary Press which represents about forty missionary publications. He has reported on various stories in Latin America, Africa, the Middle East and China. This book is the 6th book in a series of Socratic explorations of some of the Great Books. The books in this series are intended to be short, clear, and non-technical, thus fully understandable by beginners. Through such Socratic dialogues, Peter Kreeft introduces (or reviews) the basic questions in the fundamental divisions of philosophy: metaphysics, epistemology, anthropology, ethics, logic, and method. Kreeft invites you to take part in the process of refuting Hume’s skeptical arguments, with the aid of Socrates. Based on an imaginary dialogue between Socrates and Hume that takes place in the afterlife, this profound and witty book makes an entertaining and informative exploration of modern philosophy. Well known for his teaching, writing, and editing of Magnificat, the widely popular monthly publication containing the Scripture readings and prayers for the Mass used weekly by several hundred thousand Catholics, Fr. Peter John Cameron, O.P., offers here expert spiritual and practical help for priests, pastors and seminarians desiring to preach effectively. Why Preach draws from the author’s rich understanding of the Word of God as the challenging, encouraging, and healing presence of Christ, as well as from his own experience as both a preacher and a teacher of homiletics. With an eye focused on the works and examples of Pope John Paul II and Pope Benedict XVI, Father Cameron illustrates that good preaching derives from and leads to an encounter with Christ, the Word of God made Flesh, who comes to us through the Scriptures. The objective of the book is to help preachers to think about preaching in a new, dynamic way. Its aim is to provide a fresh and helpful vision of preaching geared to deepening a preacher's appreciation of what preaching is, and the great spiritual impact that good preaching can have on its audience, so as to increase his desire and ability to preach well. Fr. Benedict Groeschel, best-selling author and beloved spiritual teacher, writer, and psychologist, wrote this latest book for all those who have suffered great sorrow or catastrophe in their lives and for those close to such persons, who share their deep suffering. Sorrow comes into the life of every person, but only into the lives of some people comes catastrophe. These are disasters that occur either suddenly or with terrible effects, like the death of a child. They can be natural disasters like hurricanes, or they can be horrific accidents or tragedies caused by people's evil acts. They can also arise from wars and situations of great tension. Fr. Benedict has written previously about faith and sorrow (Arise from Darkness) and seeks in this book to study catastrophes of all different kinds in relationship to our faith in divine providence, in God’s goodness and mercy, and finally in the light of Christ’s suffering and death. Christianity is the only religion which speaks of a God who suffered a terrible catastrophe—crucifixion and death. Therefore, the Christian must, in the midst of catastrophe, find his way to the foot of the cross, and there he will find answers which cannot be given by any other religious faith. All religions attempt to deal with catastrophe, all confront the mystery of suffering and of evil. Christianity invites you to share the burden of your catastrophe with the person who is our Savior and Redeemer, one who Himself endured great pain and sorrow, the son of God, Jesus Christ. Someday soon, you might wake up to the call to prayer from a muezzin. Europeans already are. And liberals will still tell you that "diversity is our strength"—while Talibanic enforcers cruise Greenwich Village burning books and barber shops, the Supreme Court decides sharia law doesn’t violate the “separation of church and state,” and the Hollywood Left decides to give up on gay rights in favor of the much safer charms of polygamy. If you think this can’t happen, you haven’t been paying attention, as the hilarious, provocative, and brilliant Mark Steyn—the most popular conservative columnist in the English-speaking world—shows to devastating effect in this eagerly awaited new book on American and global politics. Steyn argues that, contrary to the liberal cultural relativists, America should proclaim the obvious: we do have a better government, religion, and culture than our enemies, and we should spread America’s influence around the world—for our own sake as well as theirs. A dramatic and inspiring audio presentation of Vinny Flynn’s best-selling book, read by the author, with a supporting cast of voices and beautiful instrumental excerpts from the Still Waters music CD Benedictus. • Addresses many everyday concerns: marriage, liturgy, suffering, vocations, etc. • Soft cover with flaps – 96 pages – 6 1/8 x 6 1/8 in. “Father Cessario writes powerfully and lovingly about each of the seven statements uttered by the Son of God on Calvary’s cross and finds in each of them a remarkable expression of the ‘divine order,’ the theme that underlies his entire composition. The ease with which he cites Scripture, the Fathers and Doctors of the Church, and theologians of all eras never ceases to amaze. One immediately senses that we are being taught and inspired by a deeply committed follower of the Lord who loves and reveres all that the Church teaches and earnestly desires to share it with others. In Man Before God, the mystic Adrienne von Speyr offers her reflections on this personal encounter with the God who is eternal love. Acknowledging the limitations of man in the face of the boundlessness of God, she considers both the various ways God continues to speak to man—through his Word in Scripture, through his Son in the sacraments, though saints and neighbors—as well as the necessity for man to respond. Through her guidance, we come to see every circumstance as an invitation to encounter and worship God. Provocative, inspiring, and unflinchingly honest, My Grandfather’s Son is the story of one of America’s most remarkable and controversial leaders, Supreme Court justice Clarence Thomas. Thomas was born in rural Georgia on June 23, 1948, into a life marked by poverty and hunger. His parents divorced when Thomas was still a baby, leaving his mother to raise him and his brother and sister on the ten dollars a week she earned as a maid. At age seven, Thomas and his brother were sent to live with his mother’s father, Myers Anderson, and her stepmother in their Savannah home. It was a move that would forever change Thomas’s life. His grandfather, whom he called “Daddy,” was a man with a strict work ethic, trying to raise a family in the years of Jim Crow. Thomas witnessed his grandparents’ steadfastness despite injustices, their hopefulness despite bigotry, and their deep love for their country. His own quiet ambition would propel him to Holy Cross and Yale Law School, and eventually—despite a bitter, highly contested public confirmation—to the highest court in the land. In this candid and deeply moving memoir, Clarence Thomas recounts his astonishing journey for the first time, and pays homage to the man who made it possible. Illustrated with many photos. 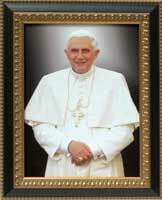 This formal portrait of Pope Benedict XVI features the same Papal image displayed in the National Basilica of the Immaculate Conception, Washington D.C., and is a dignified addition to any parish or home. Made with ornate black/gold frame under non-glare glass.